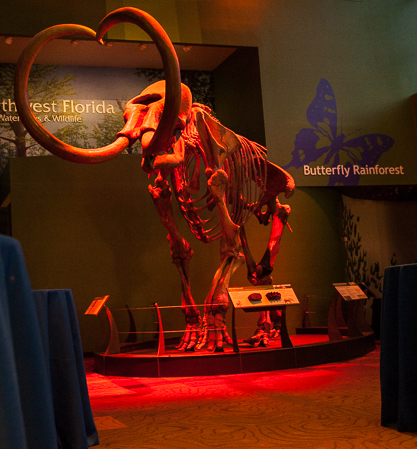 The Florida Museum of Natural History in Gainesville provides a stunning backdrop for your special event. With adventures and artifacts around every turn, the venue is a refreshing alternative to traditional reception halls. 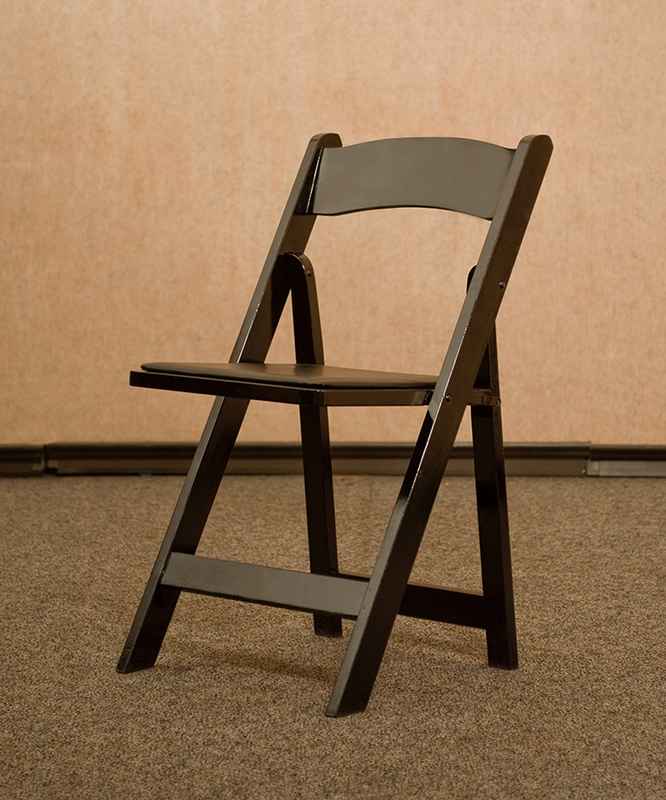 We have two rental spaces for events — the Denny Gallery and the Thompson Gallery. We can accommodate up to 160 for a seated dinner, and more for reception-style events. We’ve hosted dinners, cocktail receptions, weddings, galas, award ceremonies, presentations, client appreciation events, bar and bat mitzvahs, and anniversaries. Whatever you are celebrating, we’re here to help you welcome your guests in style. 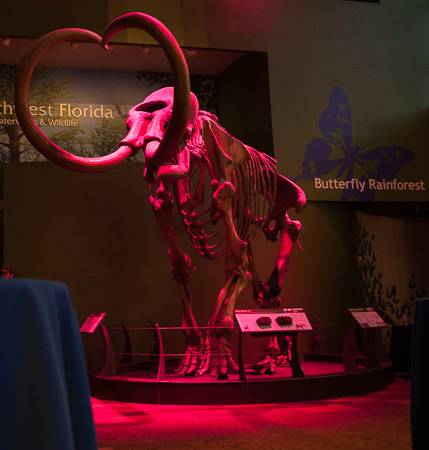 Whatever the occasion, be assured your event will go down in history at the Florida Museum! 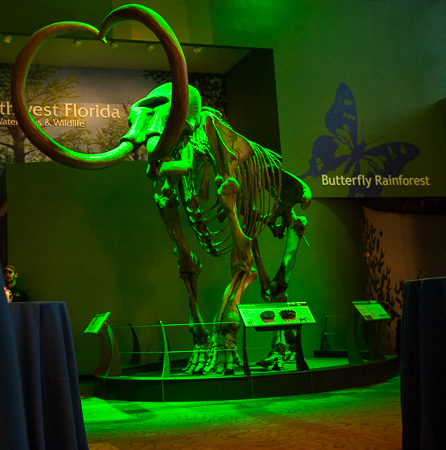 Choose one or both of our two galleries for your event. 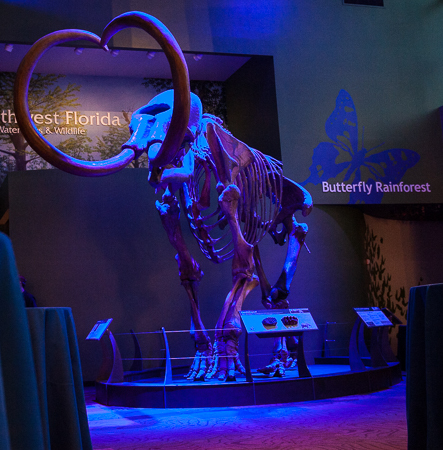 Your guests will will be able to tour the Museum’s indoor permanent exhibits at no additional cost, or you can choose to book the Butterfly Rainforest and/or the featured exhibit for an additional fee. 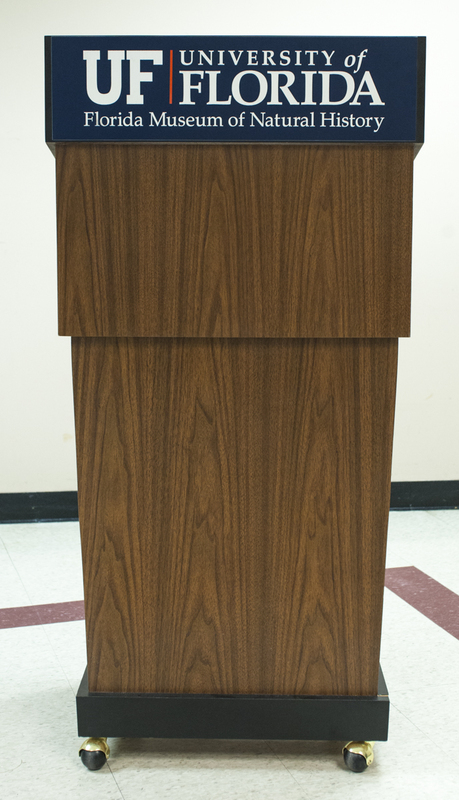 Private events can be scheduled between 5:30 and 11 p.m. every day. 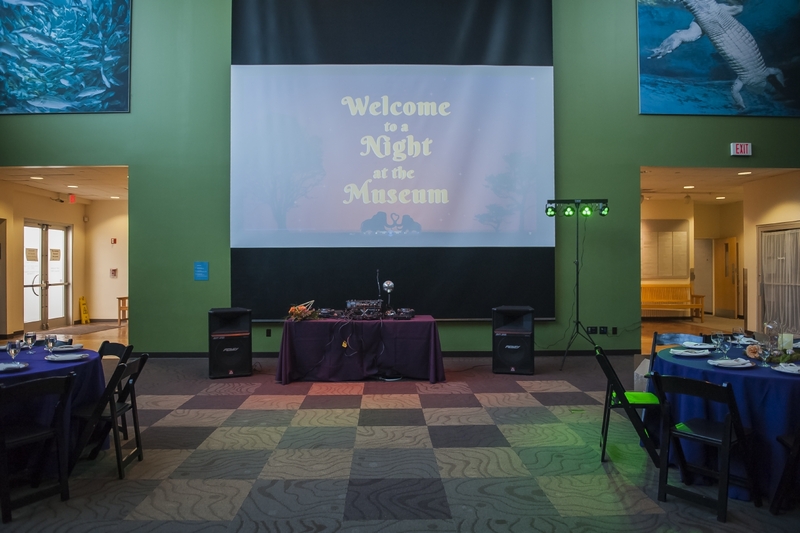 We only book one event at the museum at a time, so your guests will have our full attention. 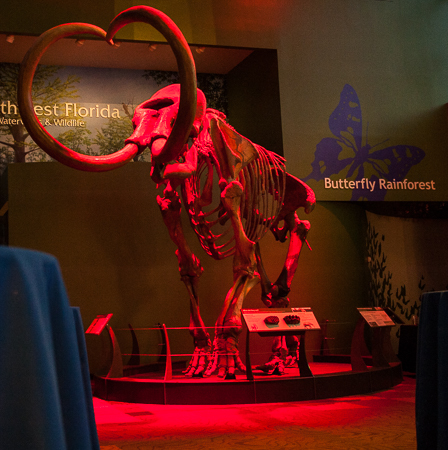 The Butterfly Rainforest and Featured Exhibit may only be rented as an addition to a gallery rental. 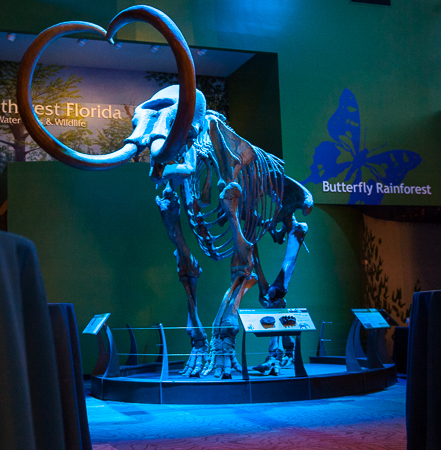 The Butterfly Rainforest will be open for the first hour of the event and pricing includes up to 160 guests for exploration or about 80 for a ceremony. Venue fees are exclusive of sales tax. 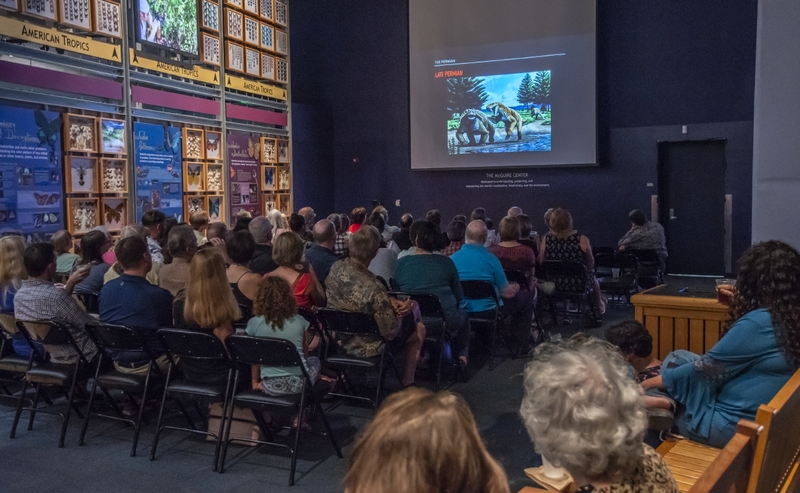 Organized programming in public spaces, for purposes beyond regular Museum visitation, is not permitted by outside parties during normal Museum hours. Complimentary evening self-parking in our spacious lot and garage. 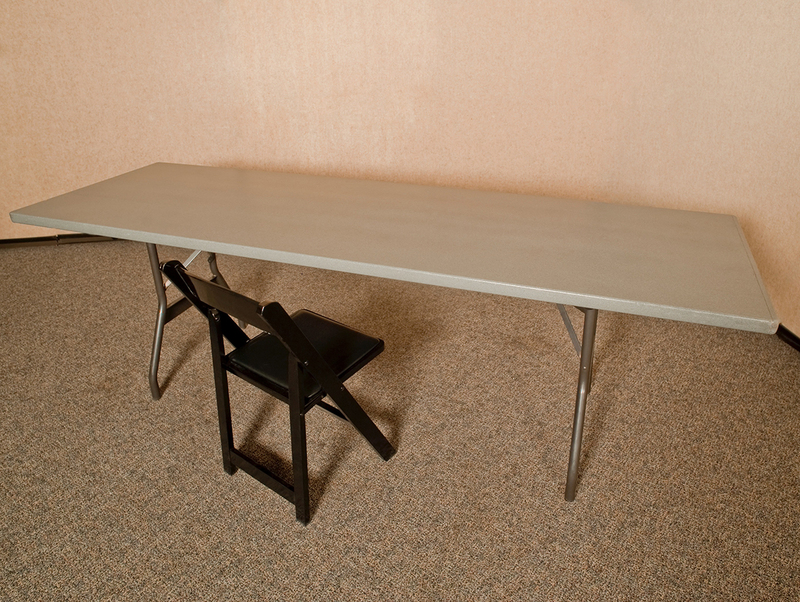 8′ banquet and pub tables, chairs, and AV (if needed). Two hours of setup and one hour of strike time. 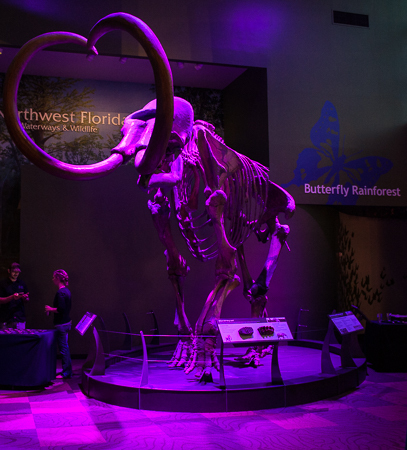 Opportunity to explore the Museum’s permanent exhibits during your event at no additional charge (extra fee for the Butterfly Rainforest and featured exhibits). Ability to select from a varied list of caterers, decorators, entertainment, planners and other vendors. A unique venue unlike any other in North Central Florida! 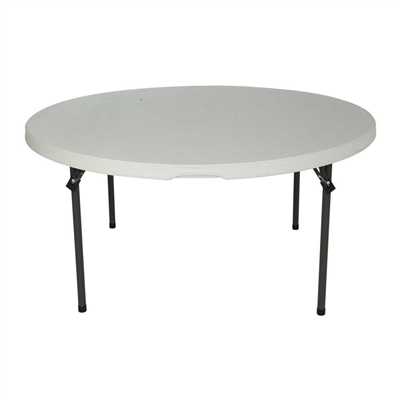 The Florida Museum now rents 60″ round tables! Save on delivery fees by renting directly. 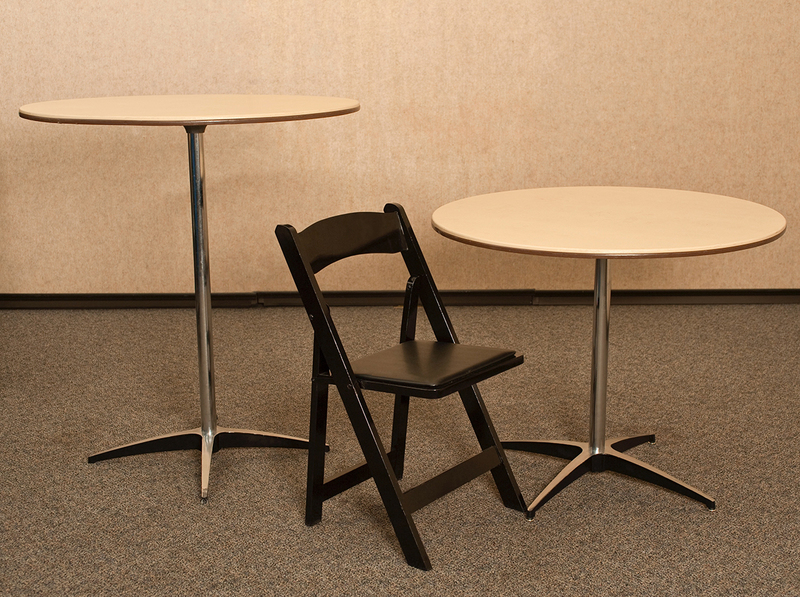 We charge a competitive fee of $10/table (seats up to 10). Take your lighting beyond the mammoth with four portable LED accent lights. 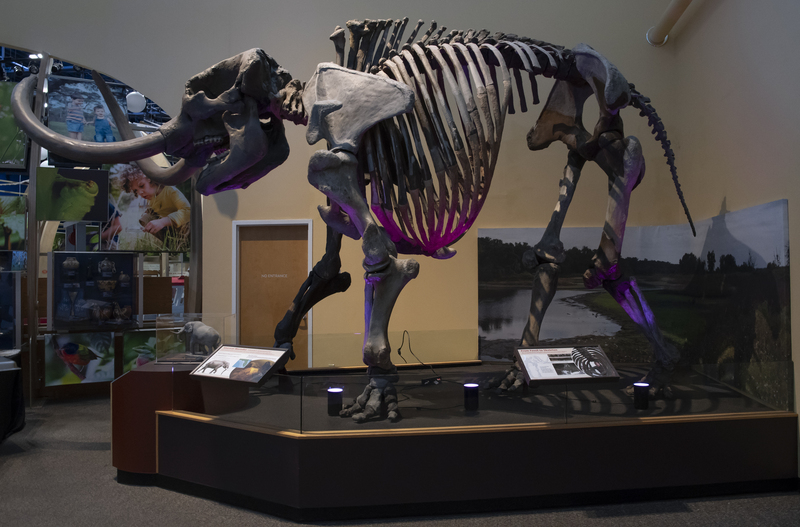 These can be used on the mastodon in the Galleria or almost anywhere you want additional accent lighting. Choose from over half a dozen color options (including color-changing) for only $30. 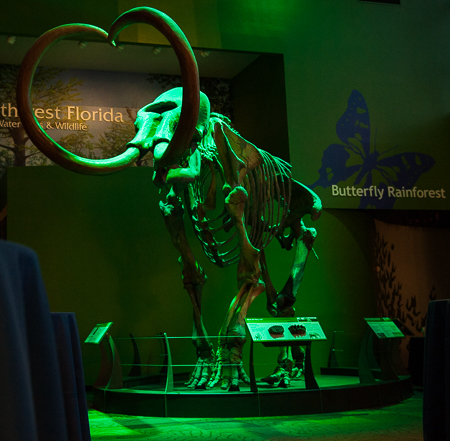 Light the mammoth in a special color to complement your event theme! Choose from the following color options for an additional cost of only $30: green, teal, light blue, blue, purple, magenta, pink, red or orange (or a combination of any two available colors). Parking – Self-parking in the UF Cultural Plaza lot and garage is complimentary for all evening rentals. Parking cannot be reserved or guaranteed. Set-up & Strike Time – We automatically add two hours for event setup and one hour for strike to your event times. It is very important that we know your actual start and end times so you receive an accurate quote. Site visit – If you want to preview our facilities, site tours are available by appointment Monday-Friday between 10 a.m.-5:30 p.m. Please contact us to schedule an appointment. Site visit availability without an appointment cannot be guaranteed. Facility Access – Rental events may begin no earlier than 5:30 p.m. and end no later than 11 p.m. The Museum’s doors are locked at 5 p.m. daily for security closing procedures and will not be re-opened until your contracted event start time. Vendors will be allowed early access for setup, but event guests may NOT enter the facility before the contracted start time. If you are worried about early arrivals or guests waiting outside, it is strongly recommended to begin your rental 30 minutes prior to your event’s advertised start time. We are unable to accommodate daytime gallery rentals or start times before 5:30 p.m. 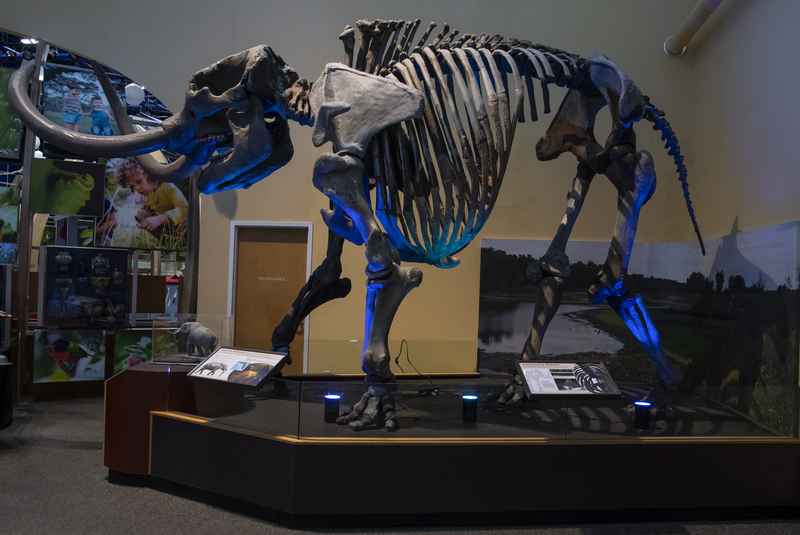 Exclusive Access – We only schedule one event at a time, so you and your guests will have exclusive access to the museum for the duration of your rental time. Approved caterers* – To protect our collections, exhibits and clients, the Museum only works with caterers who have demonstrated respect and agreed to adhere to the Museum’s Special Event policies. Alcohol – All of our approved caterers are properly insured to serve alcohol. A cash bar and/or paid entry into an event serving alcohol requires additional permitting, however, so please check with your caterer to ensure they have the proper documentation to sell alcohol. Alcohol sales may require the purchase of additional insurance. Self-serving of alcohol is NOT permitted on the UF campus. The University of Florida has an Approved Caterer program to ensure various regulations, policies, procedures and best practices are followed in order to provide a safe and responsible dining experience on campus. 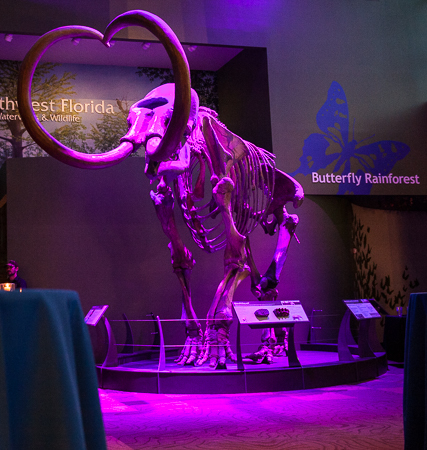 However, to protect the Florida Museum’s collections, exhibits and clients, the Florida Museum only works with select caterers from the UF list who have demonstrated respect and agreed to adhere to our special event policies. You must verify your caterer is on the Museum’s list of approved caterers before contracting with them. Please also ensure your caterer is properly permitted for alcohol sales if you will have a cash bar or if your event provides alcohol and requires paid entry. We are more than happy to work with you on your choice of DJs, photographers, florists and other vendors for your event. These are the vendors we recommend because they are familiar with the unique space and needs of our facilities, but we are open to discussing alternate vendors you are planning to work with. 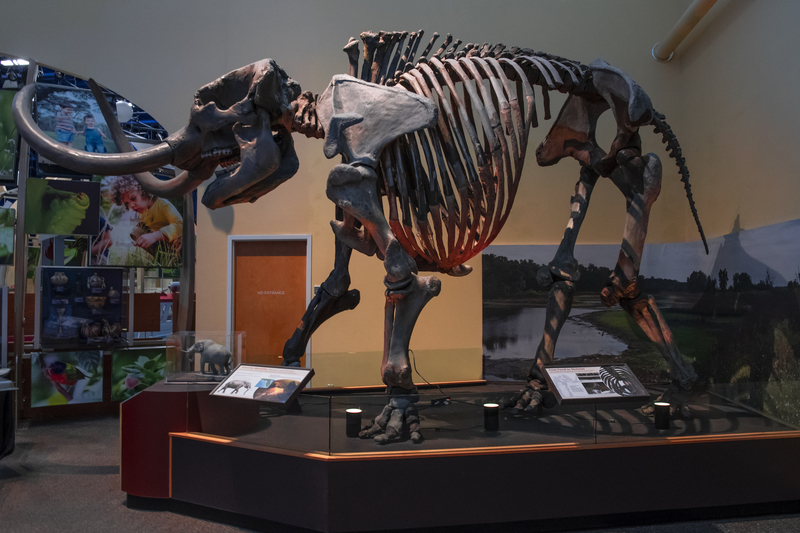 Revenue from private rentals helps sustain Museum programming and exhibits. Thank you for your support!